Sustainable consumption is the use of products and services in a way that minimizes the impact on the environment, so that human needs can be met not only in the present but also for future generations. When sustainable consumption is practiced, resources are used wisely and waste products and pollution are minimized. The main way this is achieved is by doing more and better with less. In other words, we can find ways to meet our needs and desires without depleting our planet’s finite natural resources. This might include carpooling to work, using renewable energy sources, such as solar or wind power, developing alternative fuel sources, such as biofuels, for our transportation needs and using environmentally friendly cleaning products. Practicing sustainable consumption can ensure that the environment has resources available long into the future. However, in most industrialized and developed nations, consumption patterns are not sustainable. Their products and services rely on too many natural resources and create too many harmful emissions when consumed. For example, most developed countries rely on non-renewable fossil fuels for their transportation needs. As more drivers hit the roads and more fuel is consumed, fossil fuel reserves are depleted, and because fossil fuels emit greenhouse gases into the atmosphere when they are burned, more consumption means more pollution. This level of consumption cannot be sustained due to the depletion of the non-renewable resource and the adverse effects to the environment. Of course, unsustainable consumption patterns are not just a problem for developed countries, but also for many developing countries. In developing nations, consumption patterns can be unsustainable because citizens of these countries may need to exploit their natural resources to meet their basic living needs. For example, subsistence farming, which is farming that provides only for the farmer’s needs without surplus for the market, requires the clearing of woodlands to make room for farms and is one of the leading causes of deforestation. This can lead to environmental damage, such as soil erosion, drier climates and higher levels of carbon dioxide in the atmosphere. 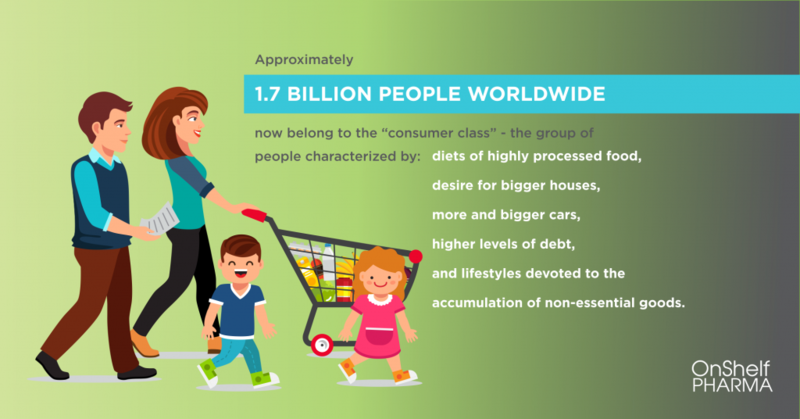 Approximately 1.7 billion people worldwide now belong to the “consumer class”—the group of people characterized by diets of highly processed food, desire for bigger houses, more and bigger cars, higher levels of debt, and lifestyles devoted to the accumulation of non-essential goods. Today nearly half of global consumers reside in developing countries, including 240 million in China and 120 million in India—markets with the most potential for expansion. The devastating toll on the Earth’s water supplies, natural resources, and ecosystems exacted by a plethora of disposable cameras, plastic garbage bags, and other cheaply made goods with built in product-obsolescence, and cheaply made manufactured goods that lead to a “throw away” mentality. Globalization is a driving factor in making goods and services previously out of reach in developing countries much more available. Items that at one point in time were considered luxuries—televisions, cell phones, computers, air conditioning—are now viewed as necessities. Currently in Africa, half of the population is less than 18 years old. The share of people under 15 in total population is expected to decline only slowly, from 46 per cent in 1990 to 36 per cent in 2030. Population aged 15 to 59 is expected to grow from 456 million in 2010 to 758 million in 2030 (UNDESA, 2008b). 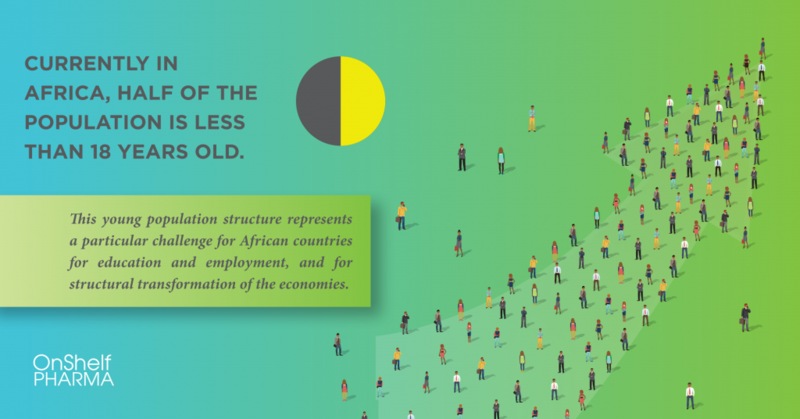 This young population structure represents a particular challenge for African countries for education and employment, and for structural transformation of the economies. Africa offers stark contrast in terms of urbanization. Countries such as Burundi, Rwanda, Ethiopia and Burkina Faso are still mainly rural, whereas in Gabon more than 80 per cent of the population lives in urban areas. Nigeria, the most populous country in SSA has seen the proportion of people living in urban areas grow from 44 to 52 per cent in 10 years (UN-Habitat, 2008). By 2020, the urban population is expected to be 646 million, up from 302 million in 2000. While insufficient data exist for accurately ascertaining the magnitude of urbanization, available statistics indicate a current rate of urbanization in Africa of around 3.5 per cent per year. This rate is the highest in the world, and is resulting in the rapid growth of urban agglomerations throughout the region. By 2030, the proportion of Africa’s urbanized population is expected to reach 53.5 per cent, compared to 39 per cent in 2005 (UNDESA, 2008b). This fast rate of urbanization places strain on infrastructure and other services. In large cities, there is evidence of a growing urban middle class and their adoption of western consumption patterns have environmental consequences, such as increasing private car ownership, increase in meat consumption and emergence of low-density detached housing developments in suburban areas. This trend also offers opportunities for national and sub regional markets for food producers. Meeting that potential demand requires development of integrated food value chains in these different spaces. McKinsey’s Africa Consumer Insights Center surveyed 13,000 consumers in ten African countries, with a focus on the largest cities. Five categories of consumption were covered: apparel, financial services, groceries, the Internet, and telecommunications. Several factors are shaping this new consuming class. Africa’s population, the fastest growing and youngest in the world, is concentrated in urban areas. This new class of consumer has a smaller family, is better educated and higher earning, and is digitally savvy. Africans are exceptionally optimistic about their economic future: 84 percent say they will be better off in two years. These new African consumers resemble their urban counterparts anywhere in the world: they are both brand and quality conscious, seek out the latest trends but watch the budget, and want a modern and attractive shopping environment. 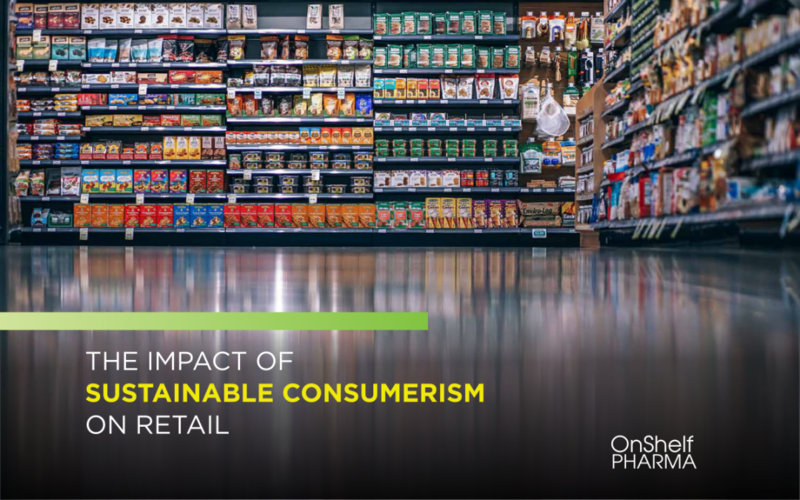 Conscious consumerism and innovation are on the rise in the retail space in South Africa and customers are demanding that increased attention be paid to sustainability, ethical sourcing, community involvement and conserving scarce environmental resources when making their purchasing decisions. Retailers need to be increasingly sensitive to changing customer demands and support customers’ ethical approach to the well-being of people and the planet. More and more consumers are asking questions about the products they buy. They want to know the impact story behind the product they buy: is it environmentally friendly, is it locally sourced, and does it contribute towards a better future for those who were involved in growing or making it? With this in mind, the retail industry should therefore focus on increasing its commitment to responsible sourcing. But it requires going one step further: retailers are in the position to help customers make informed decisions. The very nature of shopping is one of curated convenience – and the harder retailers work to match a convenient shopping experience with the knowledge and information needed for customers to make their ethical choices, the better supported they will be in the future. Shopping and sustainability are linked in another way that makes a difference, and that is in the supply chain. Big South African retailers are in a unique position to facilitate the growth and development of their suppliers, but also to influence and support suppliers on a journey to becoming more sustainable and in tune with the end-consumer’s wants and needs. 2015 was marked by numerous challenges in our energy and water sectors, and this has put even more pressure on industry to make a concerted effort towards achieving sustainability. The 2015 global climate change negotiations highlighted the retail industry in South Africa’s ongoing responsibility to manage energy, water and other scarce resources in an efficient way. The current severe drought we are experiencing is also indicative of the need to conserve and to ensure we use our resources responsibly, and to work with other stakeholders in finding short- and long-term solutions to water scarcity and addressing quality concerns. Retailers, as real estate owners and tenants, need to look at resource consumption patterns – both in store and along the supply chain – to see where savings can be made. Cutting back on the use of scarce resources, and measuring and monitoring resources properly has to become a critical part of doing business. And sharing this experience with suppliers to assist their progress, as well as engaging with customers on energy and water saving, is an important opportunity for retailers. For Woolworths, their work within direct supply chains relies on participation from suppliers. Through programmes such as ‘Farming for the Future’, we work directly with our primary producers in managing, monitoring and transforming environmental performance with regard to sustainable pesticide and fertiliser application, efficient irrigation and soil conservation techniques, among others. The rise in the percentage of respondents aged 15 – 20, also known as Generation Z, who are willing to pay more for products and services that come from companies who are committed to positive social and environmental impact was also strong—up from 55% in 2014 to 72% in 2015. Understanding which environmental and social issues resonate with South African consumers will allow industries to better communicate with this emerging target: water conservation, access to clean drinking water, quality of education and poverty in South Africa are high concerns. Quality of and access to healthcare are also major ‘health’ concerns among South African consumers. While South Africans have made a conscious effort to eat healthier than they used to, food safety and genetically engineered food create concern among the majority of South Africans. Even though the country is experiencing industrialized growth and global investment, and South Africa continues to strive toward more equal distribution of the economic wealth, poverty and inequities continue to persist in South Africa. 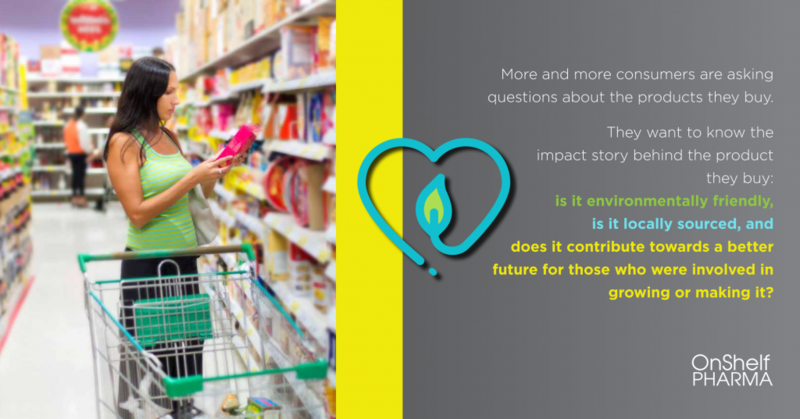 South African consumers exhibit high information seeking behavior regarding the environment; implementing educational initiatives should help boost brand understanding and trial; however, while South Africans do care about the environment, price oftentimes dictates purchase. South Africans show significant interest in environmentally-friendly versions of many products; understanding what specific benefits South Africans consumers seek from e-friendly products will help to create a more impactful marketing strategy. The South African community is increasingly watchful of what companies are doing and how it affects the environment and society; having a strong and transparent corporate social responsibility strategy is crucial. The South African consumer feels their own government, foreign governments and corporations should be doing a better job in protecting the environment. Skepticism does exist among South Africans regarding the value of e-friendly products; even if quality, price and convenience are held equal, benefits will have to be made ‘real’ and relevant. Eco-benefits should be clearly communicated on product packaging as product packaging is the second most used source to find out environmental information behind traditional media (TV, radio, newspapers, and magazines). 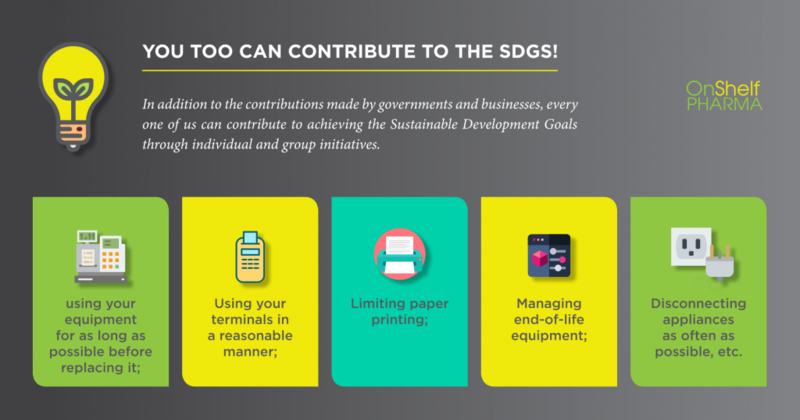 You too can contribute to the SDGs! Disconnecting appliances as often as possible, etc. Sustainability has gained significantly in importance during recent years. In particular, retailers are confronted with requests for sustainable behavior, considering their special role as gatekeeper. This Special Issue analyses the role of retailers from various perspectives to gain a deeper understanding of relevant topics and provide insights into future research areas. Figure 1 summarises the three research streams and important topics related to them. It also illustrates the link between sustainability and psychological and economic outcomes. We hope that this framework will structure and stimulate future sustainability research in retailing.